Patrick Mahomes put a bow on this incredible fantasy season by taking down one of the best to ever sling it. Mahomes did fall short of Peyton Manning's touchdown record as he finished with 50 on the season, but that doesn't mean the future Hall of Famer outlasted the second-year stud in all categories. The Chiefs QB solidified himself as the greatest single-season fantasy quarterback in history by passing Manning for most points scored from a QB. Patrick Mahomes finishes 2018 with 417.0 fantasy points. That the single greatest fantasy season by a QB in NFL history. From the minute he stepped on the field this season, fantasy football owners knew they were seeing something that had never been done before. Mahomes finished the year with 5,097 passing yards and 50 touchdowns with just 12 interceptions. He separated himself from Manning on the ground with 272 yards and two more scores to add to his mind-blowing season. His fantasy greatness didn't stop there as he finished with the fifth-most points per game with 26.06 per game. 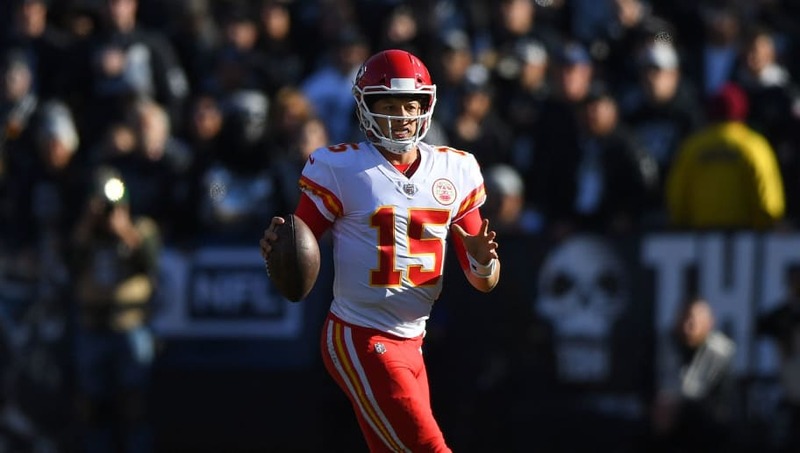 Mahomes has larger goals ahead as he looks to continue his dominance in the postseason. No matter what happens, though, he made plenty of fantasy owners happy with touchdown after touchdown this season. Dan O'Shea is not a FanDuel employee. In addition to providing DFS gameplay advice, Dan O'Shea also participates in DFS contests on FanDuel using his personal account, username Doshea93. While the strategies and player selection recommended in his articles are his personal views, he may deploy different strategies and plater selections when entering contests with his personal account. The views expressed in their articles are the author's alone and do not necessarily reflect the views of FanDuel.